Wade McKenna, DO, is the founder, director, president, and chief medical officer at McKenna Orthopedics, in Decatur and Trophy Club, Texas. He is a renowned inventor and surgeon, treating world-class athletes and developing numerous surgical and nonsurgical stem cell application protocols. He is also a leading advocate of autologous stem cell therapy and regenerative medicine in orthopedics. Dr. McKenna has performed over 20,000 surgeries and used cellular therapy in over 5,000 patients. In addition to his medical practice, Dr. McKenna is the co-founder of Biologic Therapies, a product development research company dedicated to the advancement of autologous stem cell therapy. He patented the BioMac™ bone marrow aspiration catheter, an improved method of bone marrow harvesting, which is now becoming the standard for stem cell extraction. 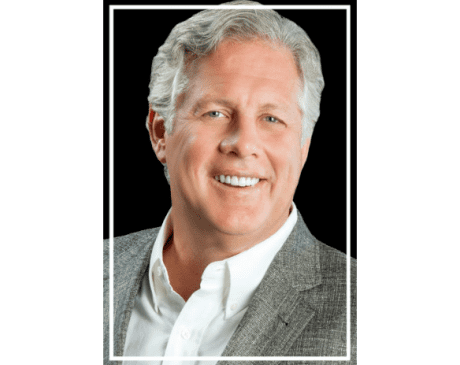 After earning his bachelor of science in psychology at Oklahoma State University in Stillwater, Oklahoma, Dr. McKenna went on to Oklahoma State University College of Osteopathic Medicine in Tulsa for his doctor of osteopathic medicine. He then completed his internship and residency at Dallas Fort Worth Medical Center in Grand Prairie, Texas, and fellowship in orthopedic trauma at Florida Orthopaedic Institute in Tampa. Dr. McKenna has also received specialty training in surgery of the hand and upper extremity, sports medicine, total joint arthroplasty, and pediatric orthopedics. Dr. McKenna is a board-certified orthopedic surgeon and a Diplomate National Board of Osteopathic Medical Examiners. He is also a member of the American Medical Association, American Osteopathic Association, and Texas Osteopathic Medical Association. Dedicated to research and education, Dr. McKenna has published numerous scientific research papers in peer-reviewed journals and has lectured all over the world on the benefits and uses of stem cell therapy in orthopedics. He is leading the way for the use of regenerative medicine in orthopedics and is excited to provide these cutting-edge treatments to his patients. Here is a list of insurances accepted at McKenna Orthopedics. If you do not see your insurance provider or if you have any questions about payment, please contact our office.